Are you looking for information regarding leasing and costs for photocopiers? Do you want to compare all of your available options? Or, are you looking for a rundown of what to look for in a photocopying supplier? You can find out all of this and more. In this guide, you’ll discover everything you need to know about photocopier leasing and costs, including what they are and what to look for. OMM has over 20 years of experience within the office supplies and equipment industry, who can either sell or lease you photocopiers with the aim of providing you with the best value for money. With a high score on Google, customers state that they have built long-lasting relationships with the company, and feel like they have had excellent customer service. Nationwide Copiers specialise in the sale and leasing of photocopiers, as well as things like toner and offers repairs and maintenance. As many photocopiers can cost between £1,000 and £15,000, Nationwide Copiers offers their leasing options to be far more cost-effective, with contracts generally lasting between three years and five. Print Logic offers office equipment supplies that include printers and photocopiers, on a sale or leasing basis which depends on your company’s needs. They have 25 years of experience in the field and claim to give a unique service to their customers, as well as offering cutting-edge technology for each one of their customers. Bowden Digital has almost 20 years of experience in providing their customers with all of their printing needs, such as photocopiers, printers, print management systems and devices. They offer leasing plans which mean you pay a small amount over between 36 and 60 months, which makes it a much more manageable expense than purchasing the photocopier. Paragon Document Solutions, collectively, has 50 years of experience and can offer their customers a range of solutions, such as printers, scanners and copiers. While you can buy this equipment outright, you can also lease all of your office needs with contracts of between 1 and five years in length. Equipment Rental & Sales are a five-star rated company on trusted review sites such as their Google page and can offer customers lease agreements that help you save money on expensive equipment. There are printers, photocopiers, plotters, shredders, scanners and fax machines on offer, so you know that you can get all of the required printing equipment from one place. CopyLogic has 27 years of experience in the photocopier supply business, which include photocopier hire, lease, sales and things such as print solutions and toner. You can choose between three to five-year contracts, for the latest technology at easy to manage prices. EBS was established in 1994 and provides customers with a wide range of photocopiers on offer such as Sharps and Samsung for example. You can potentially benefit from their one year programme, which allows you to have the option to upgrade photocopiers or end your contract after just a year, which is best for short-term solutions. 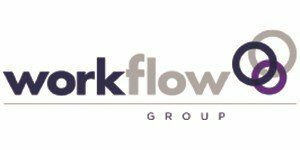 Workflow Group claims to be a customer-focused copier and printer leasing company, which aims to bring a more environmentally friendly and exceptional service to the market. They offer big brands such as HP, Konica Minolta, Lexmark, Ricoh and Xerox, and tailored options that suit your individual needs. Condor is a well-known manufacturer and supplier of the popular brand of photocopiers and printers from Canon. When it comes to leasing equipment for your office, you can choose between three or five-year contracts, with no extra costs such as installation or admin fees, as they are included in the price. A photocopier is a piece of equipment that allows you to be able to copy a document a certain number of times so that you can provide all of your employees with a memo for example from a single sheet. Whether you need your photocopier for your business depends solely on factors such as how often you print and how fast it needs to be. For commercial photocopiers, you can usually expect to spend between £500 and £5,000 on a brand new printer, depending on how advanced it is. This can be a significant investment when it comes to the cash flow of your company, which is why sometimes renting or leasing equipment can be the better option. How much does a photocopier cost to rent? Renting a photocopier could typically cost around £25 a month, which is why this could be much more cost-effective than purchasing a photocopier. However, this does mean that you won’t own the photocopier at the end of the renting term. Though it does mean that you won’t need to necessarily worry about fixing your photocopier if it breaks down, as many suppliers will include installations and maintenance as part of the fee. What does it cost to lease a photocopier? Leasing a photocopier is another potential option for those who could use a photocopier for their business, but they might not have the cash to buy one. Although most leasing costs are bespoke, here are some of the potential prices. The amount that you’ll need to expect to pay depends on whether you want a black and white photocopier or one that uses colour, and the volume that you need to be able to print. Sometimes, leasing can also lead to owning the photocopier at the end of the term, as you will have paid for it over a longer length of time. This can typically be between 3 and five years in length, depending on the contract. Sometimes you might need to pay some additional costs, such as administration fees, maintenance fees or installation fees for example. However, some suppliers will include this in your overall prices, but you should ask your supplier if this is the case. Will I own a photocopier after leasing it? Sometimes, entering into a leasing agreement will mean that you own the photocopier after the agreed term. This can be once you have paid off a term of around five years. How long can I lease a photocopier for? Usually, the contracts that are on offer will be between a year and five in length. However, some suppliers will offer you a completely bespoke deal based on your needs. What kind of photocopiers are there? Mono copiers, as the name suggests, are photocopiers that only use one colour of ink; typically, black ink. You can get mono copiers in most sizes, whether they are low volume for a small number of copies to be used on a monthly basis or high volume where you need to be able to print a significant amount. These high volume printers can print more than 100 pages every minute. Colour copiers allow you to print in colour, which makes them usually a lot more expensive, as you will need to pay for different colour ink cartridges and there is more potential for breakages in the drums that hold the ink. You would typically have the four primary colours; cyan, yellow, magenta and black. In combination, you can use these cartridges to produce all of the other colours. 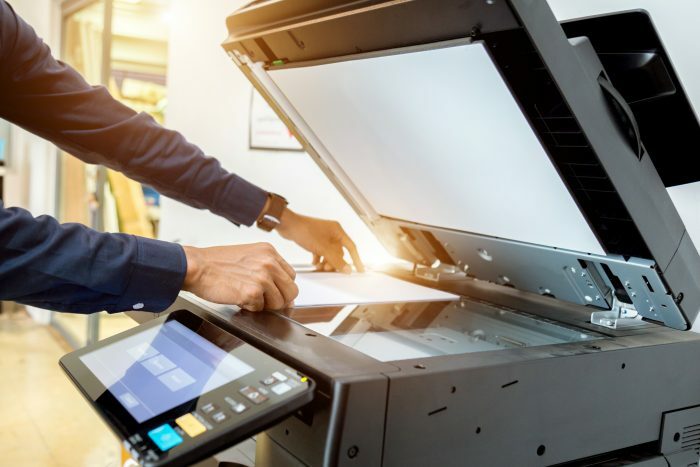 Network copiers will typically be connected to your office network so that you can do things like printing remotely or PC faxing for example. If your needs go far past just copying, these multifunctional copiers might be the best fit for you and your company. You can use these copiers for printing, faxing, scanning and copying to name a few. 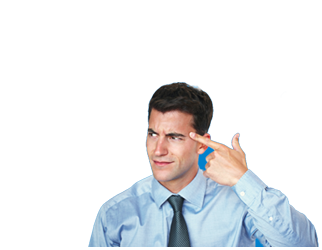 Modern copiers have internet access so that they can do things like scanning to email, scan to FTP, WSD scanning and scan to USB. Desktop copiers are only suitable to print A4 or smaller sizes of prints, as they will be a smaller size to fit on top of your desk. Traditionally, these types of printers are the most suitable for home offices or small companies. How do I find out which one is best for me? So, which photocopier is best for you? Should you purchase, lease or even rent a photocopier for your office? By using the ExpertSure comparison tool you can see all of your available options within mere minutes, or you can check out the ExpertSure guides for more. In this guide, you will have found out about the top 10 photocopier suppliers, which photocopiers are on offer and how you can obtain one for your office. Do you want to learn more about photocopiers? Or, would you like to compare your options right now? Check out the ExpertSure guides, or use the comparison tool here.